Betsy often encourages me to take “creative” photos. I’m not sure how well I do at that, but I do try, even though I’m no artist. I do enjoy ‘experimenting’ in Photoshop in an effort to be “creative” with so-so photos. 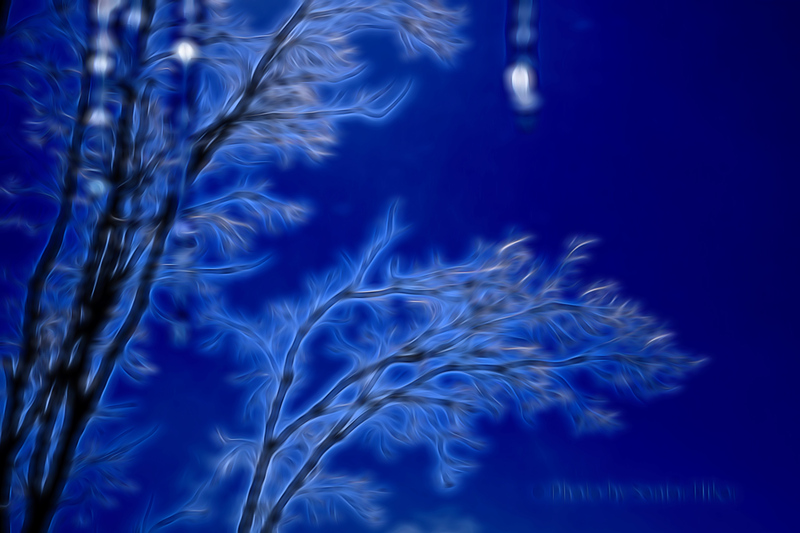 This image started as a photo of icy tree branches taken in our yard in February, 2015.